As with many of Brock’s productions, ’Never Forget Us’ is an ode to some of the many memories and experiences that helped influence the producer he is today. From his trademark ambient epics, to his unique brand of ambient house, each reflecting his history, forever lingering in his years DJ-ing ambient chill rooms and deep house basement affairs beginning nearly thirty years ago . With the return of Earth House Hold, the story is told not only through the reflective nature of the music, or the collage of original pin-hole photographs taken by his good friend Mamii, but the mutual appreciation for a sound from years gone-by, brought to life again, yet living its own life, in a way only someone like Brock could. 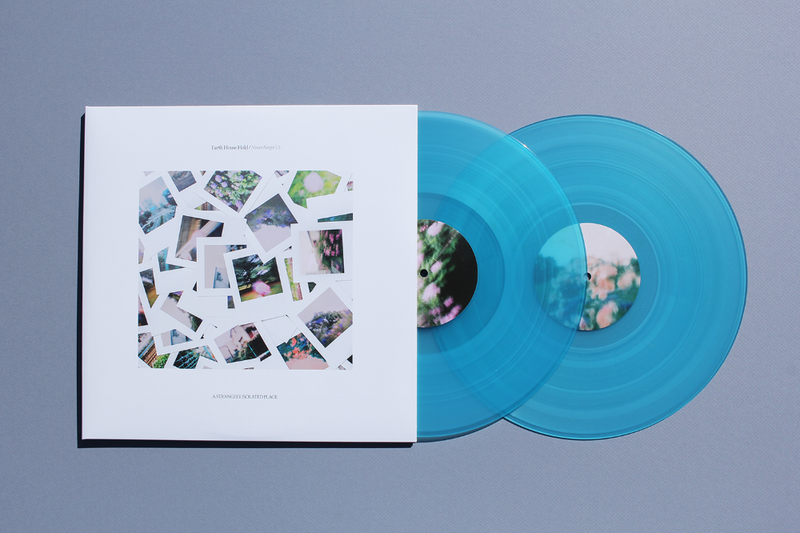 ‘Never Forget Us’ is available in both transparent-blue (300 copies) and black (200 copies) X2LP vinyl editions, housed in a gatefold sleeve, including digital download card.